← When did the Army change to clutch back jump wings? I just fixed a broken link to an article from May 2007 that somehow disappeared. It’s fun to see it back again. Have a look. This is a nice wartime children’s book I bought in 2007. 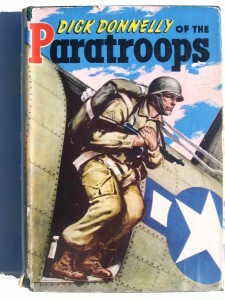 It was published in 1944, when the most famous airborne operations took place and history was still being written.